Review of Raz Greenberg. 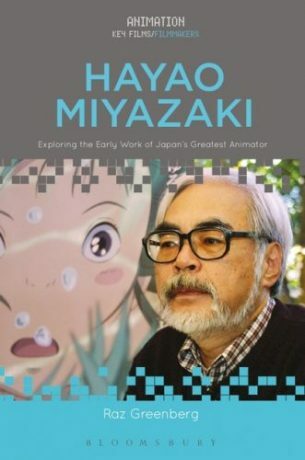 Hayao Miyazaki: Exploring the Early Work of Japan’s Greatest Animator, New York/London: Bloomsbury, 2018. There are those who advocate history-less animation, curricula that focus on the teaching of techniques and technology. In his book, Hayao Miyazaki: Exploring the Early Work of Japan’s Greatest Animator, Raz Greenberg exposes the fault lines that permeate such thinking. His study offers valuable insight into the work of animation as a force for cultural impact. The author’s time study on this living legend inadvertently gives new currency to the Jamaican national hero Marcus Garvey’s assertion that “a people without the knowledge of their past history, origin and culture is like a tree without roots.” Students of Japanese animation need exposure to this text. After all, Japanese animation is a global phenomenon that extends well beyond the cosmetic pervasiveness of anime, but most critically one that demands more informed analyses. 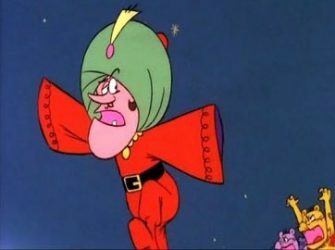 [L]ike Puss ‘n Boots before it, Ali Baba’s Revenge is strongly inspired by The Adventures of Mr. Wonderbird….But while Puss ‘n Boots was highly successful in interpreting elements from Grimault’s film into a fresh and exciting adventure, Ali Baba’s Revenge is an almost complete failure (Greenberg, 2018: 25). It is abundantly clear, however, that Miyazaki’s Tōei stint was also a productive period. His exposure to and participation in productions based on solid classical storytelling would influence his future work as an independent animator (Greenberg, 2018: 26-27). Greenberg follows the discussion of the legendary animator’s (Tōei) experience with further insight on some of the influential agents the development of his motif (Greenberg, 2018: 32-49). What we observe is an artist who is unafraid to engage in what I call cultural editing – the process of taking on board cultural elements that one has adapted to suit their purposes. Greenberg’s exposé enables us to witness the spirit of humility and humanity that underscores the work of Miyazaki. He is able to reference European storytellers such as Lindgren, Conan Doyle and Grimault, yet craft work that remains Japanese, but manages to display his unique creative DNA. Again, observations of the characterization of heroines and orphans, “the connection between childhood and nature – later contrasted between adulthood and urbanism” (Greenberg, 2018: 38) illumine this insightful study that at times feels like a collection of individual essays. A key strength of Greenberg’s is his ability to write in what Nigerian writer Chinua Achebe, the patriarch of post-colonial African Literature, once described as is and was (Achebe, 1960: 27). I am referring to accessible prose that facilitates clear communication – as opposed to the cloud of semantics. He does the ‘middle-ground’ well. This book allows both the seasoned scholar and the mesmerized fan to find their form in the text. Reader-friendly, the gravitas of the study is not compromised at any time. A timely addition to the oeuvre of Animation Studies and useful text for both undergraduate and graduate students, it should be recommended reading for all scholars and aficionados of Japanese animation. Achebe, C. (1960). No Longer at Ease, Portsmouth: Heinemann. Greenberg, R. (2018). Hayao Miyazaki: Exploring the Early Work of Japan’s Great Animator, New York/London: Bloomsbury. Charles daCosta teaches Animation at Queensland University of Technology in Brisbane, Australia. He was prior a professor of Animation at the Savannah College of Art and Design in Georgia, USA. He has also been a board member of the Animation Hall of Fame. His scholarly work focuses on the nexus between theory and practice in animation. He has taught in several universities in the UK and US.